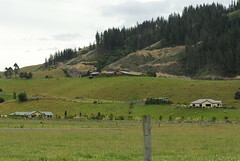 Hira is popularly described as Nelson’s ‘lifestyle block’ capital. For those that want a rural outlook or larger section this is the place to be. There is certainly no high density housing out here, yet you’re only a 10-15 minute drive to Nelson, and unlike the southern outlying suburbs of Nelson, 90% of the trip here is in a 100km speed limit zone. Located at the northern entrance to Nelson, it’s the last valley before you top “Gentle Annie” and then head down into Nelson’s northern suburbs proper. The turn off to Cable Bay is here too. 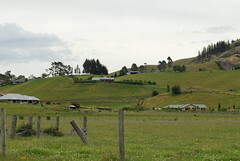 With many newer homes here too, the area is still growing. According to the Hira shop, the local ‘postie’ delivers to about 500 mailboxes/homes. On State Highway 6 in Hira, you’ll find the ‘Ice Cream Stop’ – a local store that’s world famous in Nelson! With a wide range of icecream flavours and very generous serves, it’s worth a stop. It’s also the last store for many kilometres before or after a trip over the Whangamoa and Rai Hills. The store also provides dairy goods, petrol, diesel, oils and general grocery items. There is no regular scheduled public transport services to this area, as you are about 12-13km north from the city. School Buses are used to transit children in the region to/from Hira School. 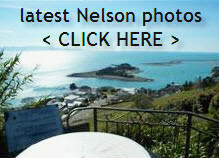 Nelson is less than a 5 minute drive south and has a very wide range of cosmopolitan restaurants, cafes and eateries.